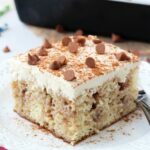 I got to meet some people from BAILEYS® Coffee Creamers at the BlogHer Food conference in May and I was totally pumped to try their new coffee creamer flavors, both in my coffee and in baking. I love Baileys brand in general. I’ve always loved their creamers and Baileys liqueur. They’ve got three tasty new creamer flavors and the one I was most excited to try was the Cinnamon Dolce. I love me some cinnamon! And it was awe-some in my coffee! So when they sent me a few flavors to try, I new the cinnamon one would be the first I’d bake with. It took me a bit to decide what to bake, but once this poke cake popped into my head, I knew I had to make it. 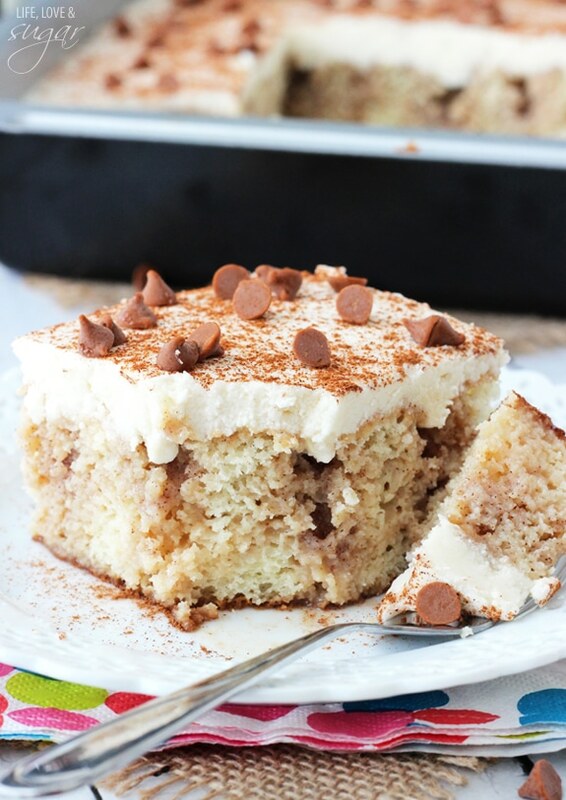 I’ve used coffee creamer in cake once before and it gives such an awesome flavor and moistness to the cake. And this one is no exception! Sure, you could use regular milk and some ground cinnamon, but trust me. It would not be the same. This coffee creamer has a uniquely awesome flavor to it that really comes through in the cake. I LOVE it! And though this is a cake, not actually a cinnamon roll, I still wanted the awesome buttery cinnamon-ness that comes in cinnamon rolls, so butter is melted with brown sugar and cinnamon, just like in actual cinnamon rolls. The butter and sugar are microwaved together, so that the sugar dissolves. You don’t want to skip that step. Combine it with sweetened condensed milk and you have the most delectable cinnamon roll filling that ever lived! 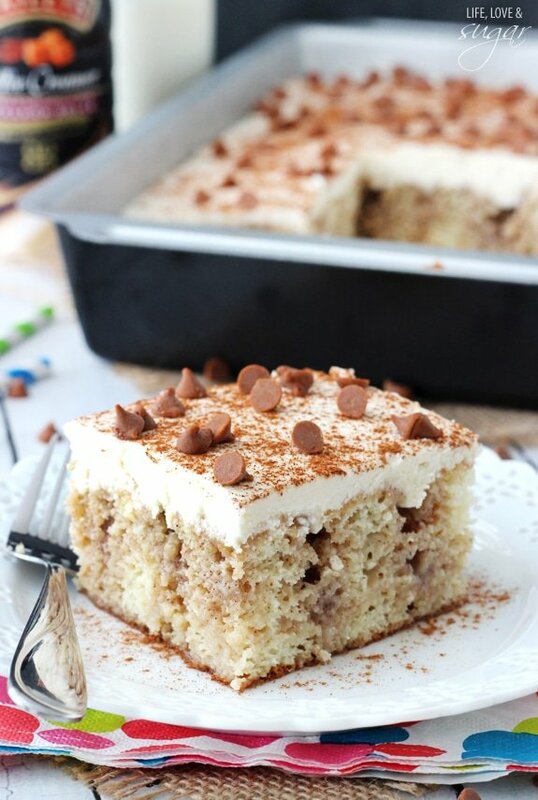 Pour that all over cake and you have the most wonderful cinnamon roll cake that ever lived. Honestly, it tastes so good, you could stop right there. But then you have a bunch of holes all over the cake. So what do you do? 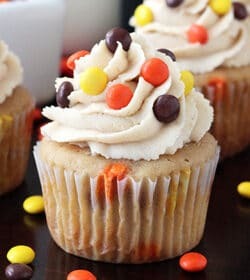 Top it with an awesome, light vanilla icing! Duh. It’s got some whipping cream and is whipped for a couple minutes to give it that light airiness. It goes perfectly with the cake. You seriously won’t want to stop eating it. Every time I had another piece, it was like I’d forgotten all over again just how good it was. Like I didn’t believe it until I tasted it again. And then of course I didn’t want to share, but I knew I needed to or I’d eat the entire thing on my own. So I shared. And it was agreed all around that this cake is shockingly tasty. 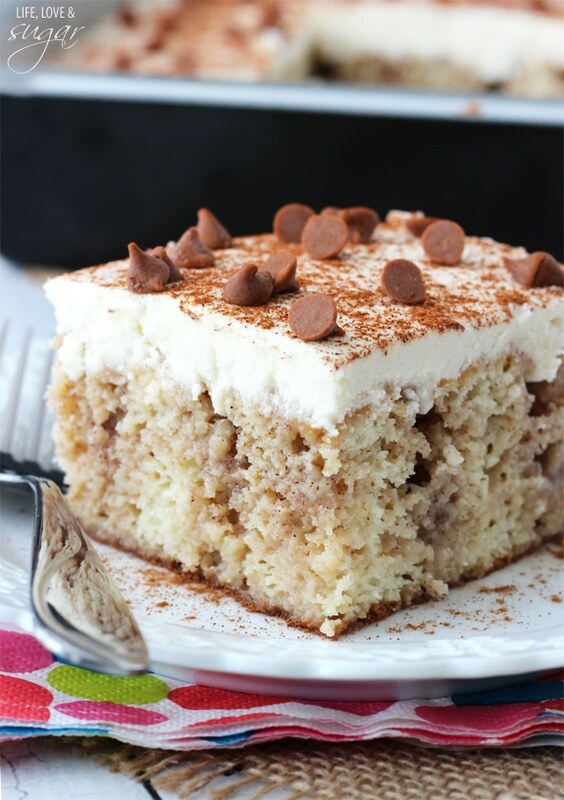 I mean really, how can you beat a cake soaked in cinnamon, brown sugar, butter and sweetened condensed milk? 1. Preheat oven to 350 degrees. Grease a 9×13 rectangle cake pan. 2. Add dry cake mix, coffee creamer, milk, oil and eggs to a mixer bowl and beat until smooth. 3. 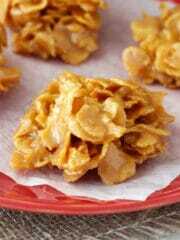 Pour batter into cake pan and bake for 20-25 minutes, or until a toothpick comes out with a few crumbs. 4. Allow cake to cool for about 10 minutes. <div”>5. While cake is cooling, melt butter in a bowl in the microwave. 6. Add brown sugar to melted butter and whisk to combine. 7. Microwave butter and sugar for about 30-40 seconds more, until sugar is dissolved, whisking about half way through. 8. Add the sweetened condensed milk and cinnamon to the butter mixture and mix until combined. 9. Poke holes in the warm cake with the end of a wooden spoon or something similar. 10. Pour mixture over cake. 11. 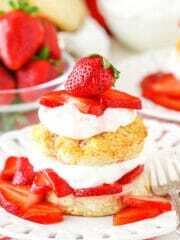 Place cake in refrigerator for 2-3 hours while it cools and soaks up mixture. 12. To make the icing, cream the butter. 13. Add 1 3/4 cup of powdered sugar and mix until smooth. 14. Add the whipping cream and vanilla and mix until combined. 15. Add remaining 1/4 cup of powdered sugar and mix for 3-4 minutes, until light and fluffy. 15. 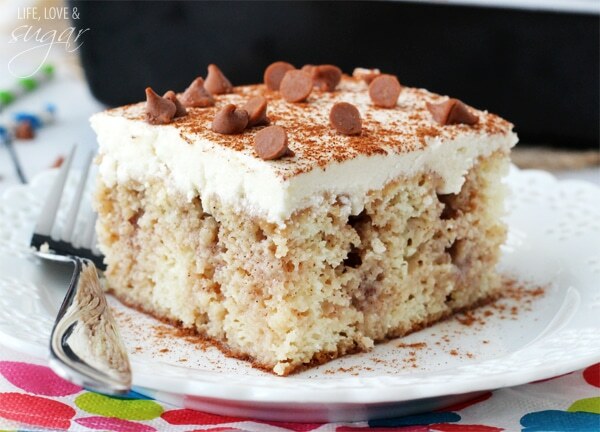 Ice cake and top with cinnamon chips, if desired. 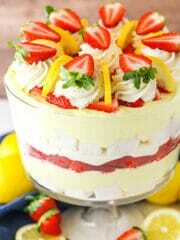 Store cake in refrigerator. This looks so good! 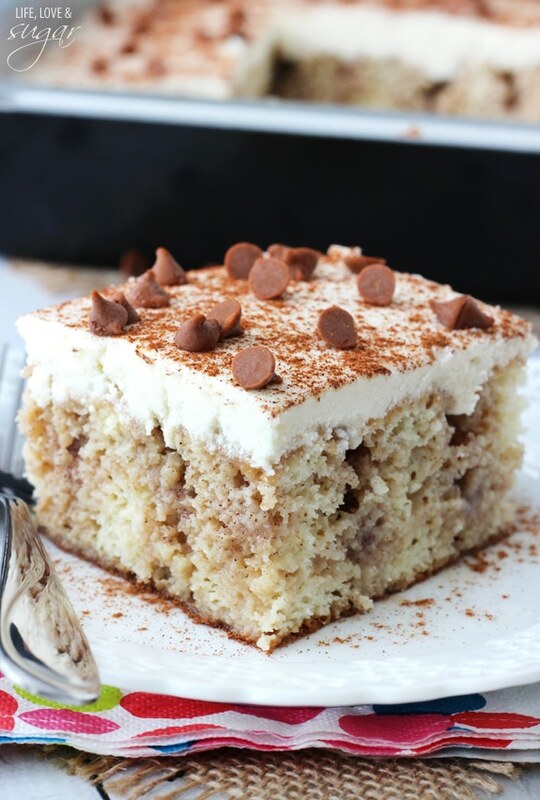 It kind of reminds me of a tres leches, but with cinnamon and the creamer instead. So fluffy and delicious! Thanks Mir! 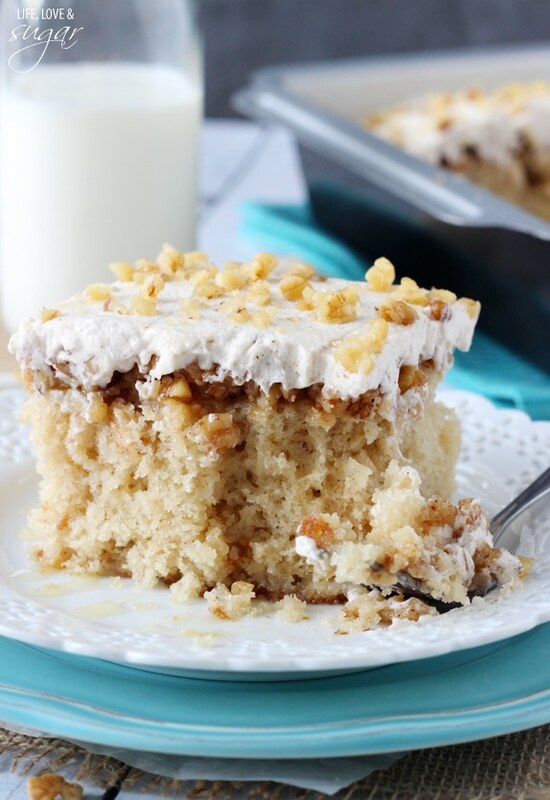 Poke cakes are definitely similar to tres leches cakes, just different milks and what-not. 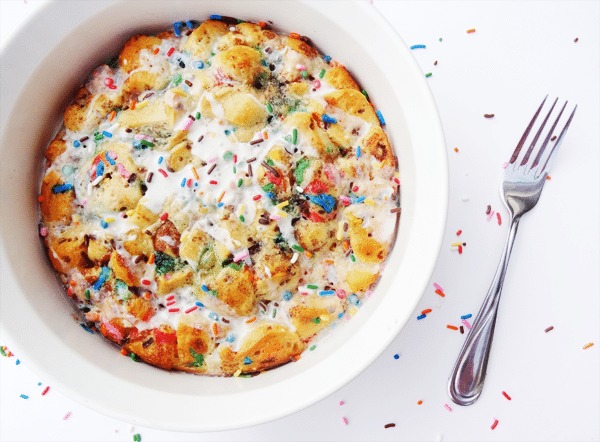 I’d love some of this for breakfast this morning! 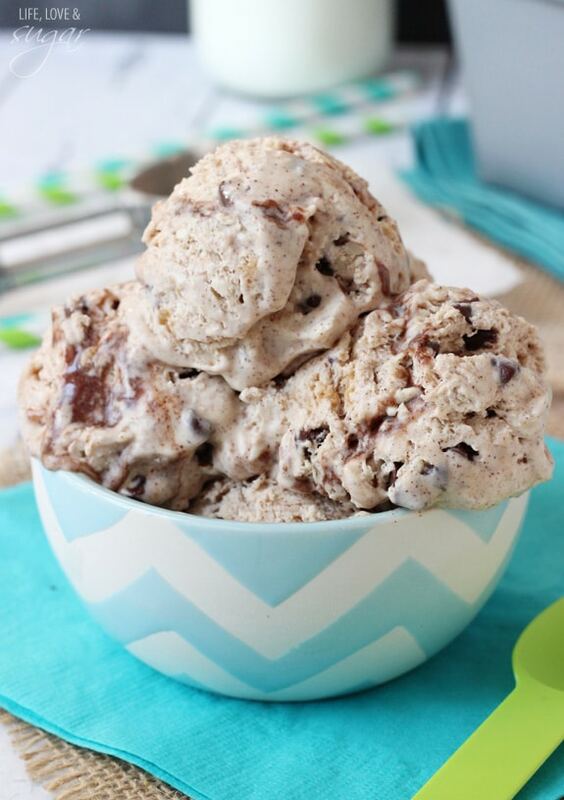 Pinned this right next to your Cannoli Poke Cake, which was divine! Seems like the perfect flavors for fall! This looks amazing!! And so much easier than putsing around with actual cinnamon rolls. Perfect! SO much easier! Thanks Alyssa! ahhhhh, this looks amazing! I adore cinnamon rolls with a passion!! Thanks Sharon! 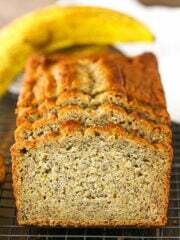 You should definitely try one – so easy and delicious! I can’t even handle it. I am dying to try this! 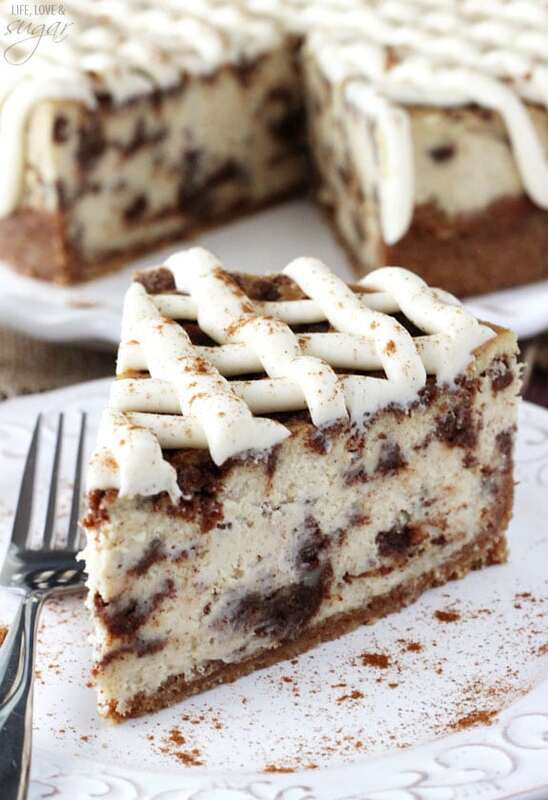 What a beautiful cake – I love that it has everything that makes a good cinnamon roll, but takes a lot less time to prepare. I’m bookmarking it for later for sure!!! I love cinnamon! Thanks for this recipe. It looks so moist and delicious. I need to look in my local supermarket for that coffee creamer 🙂 That is a must. Girl did you say cinnamon roll poke cake? Yep you are officially genius status! Holy cow! This looks and sounds awesome. 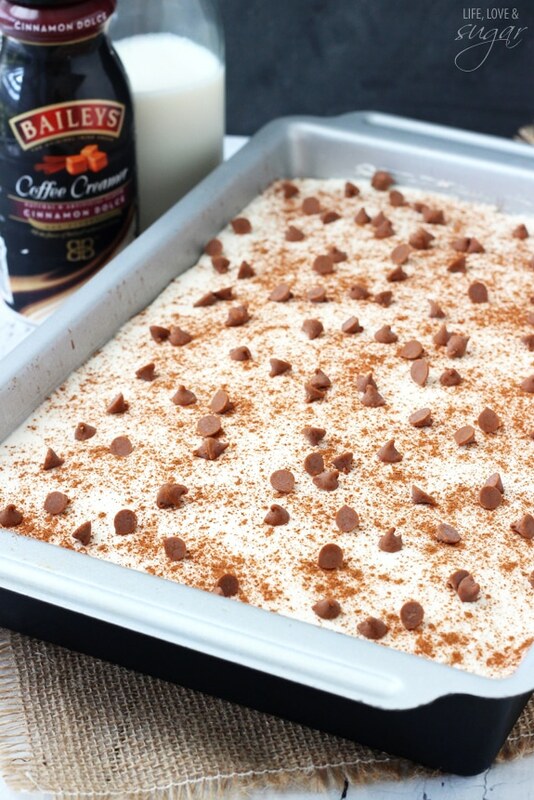 I hope I can find the Bailey’s creamer because I definitely want to make this for work! So excited to try it! This cake was every bit as delicious as it looks. I am lamenting the fact that I don’t have more now! 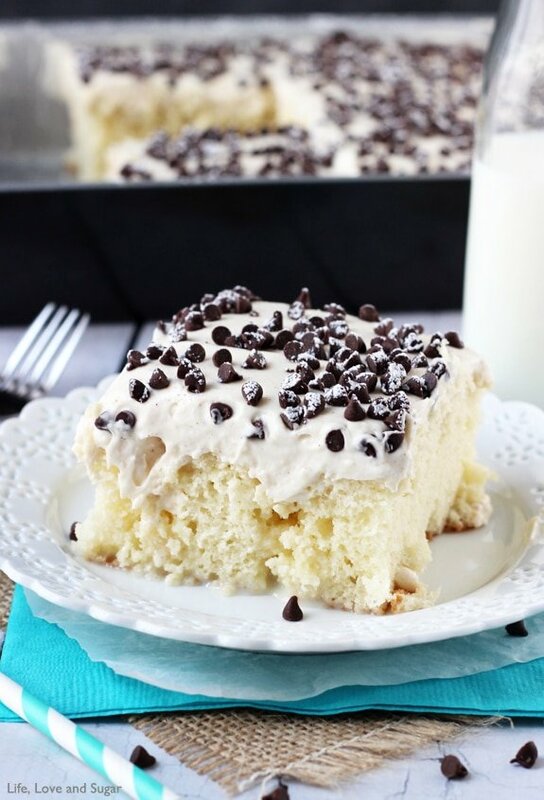 I can’t believe I’ve never tried poke cake! It’s so easy and sooooo delicious! You idea about using the creamer in the cake is so smart. Probably one of the most moist cakes that I’ve ever tried. Lip-smackin good!!!!!! Thanks Jess! I LOVE cinnamon – all the time! You blog is going to get me in trouble! Far too many delicious cakes and cupcakes and yum! Lindsay, I just went to 4 different grocery stores I’m my area (northern VA) and no one had that flavor creamer. I’m so bummed. I don’t know if I can order on line or not. I’ll keep looking! Oh no! I’m sorry you couldn’t find it! 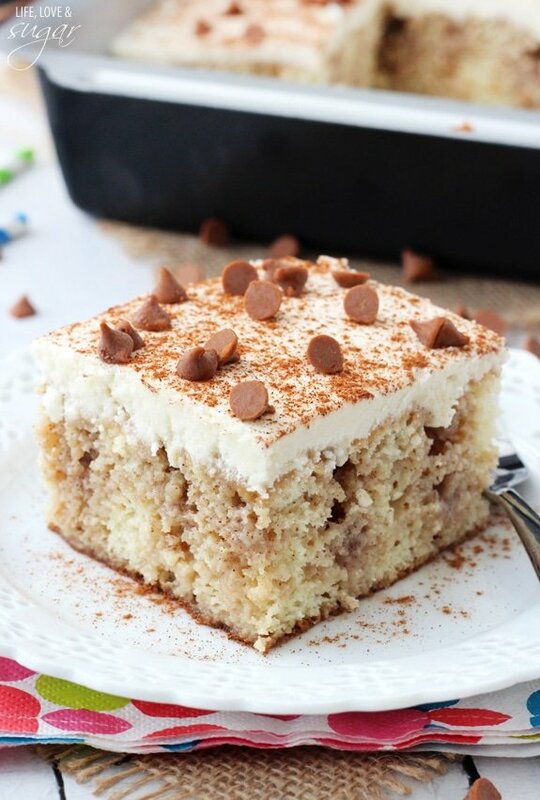 While I do love it in this cake, if you can’t find it, you could replace it with regular milk or vanilla creamer and add 1 to 1 1/2 tsp cinnamon to it. I’m sure it would still be delicious! I couldn’t find it either. So I substituted International Delight’s french toast creamer. I think aeound Christmas I may try it with eggnog. I love everything cinnamon and this is totally making my day! Pinning!!! Thanks for subscribing Lynn! 🙂 I LOVE cinnamon! Sometimes I think I need to add a disclaimer, haha. 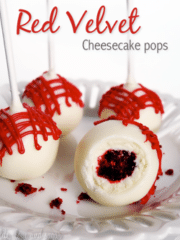 wonder how this would be with a spice cake mix and run in the poke icing part? Hmm, a spice cake might be a little different kind of flavor, but you could try it. Umm, I love that everyone THINKS this cake looks delicious, but of all the comments only one person tried making it? I’d love more feedback as to how others cakes turned out because I attempted to make this cake and it turned out NOTING like the pictures. Now, I’m not a professional baker, but I know I’m good. So I was highly disappointed in the recipe. The cinnamon mixture that you’re supposed to soak into the cake was so thick that I knew immediately it would not be soaking (and it didn’t). Then, the icing actually separated when I added in the whipping cream. I had to set my bowl in hot water to re-soften the butter. Then it finally came together. I’m disappointed. I’m sorry the cake didn’t work out Miranda. While there aren’t as many comments on the actual post of people’s success, I’ve been tagged by a few people on instagram who made it with great success. I’d love to be able to help you figure out what went wrong – though it is hard from a distance. I’m not sure why the cinnamon mixture would be too thick – perhaps it was heated too long? To thin it out, you could always add some additional sweetened condensed milk. As for the icing, I’m not sure why it separated, but you could always use a regular buttercream instead. 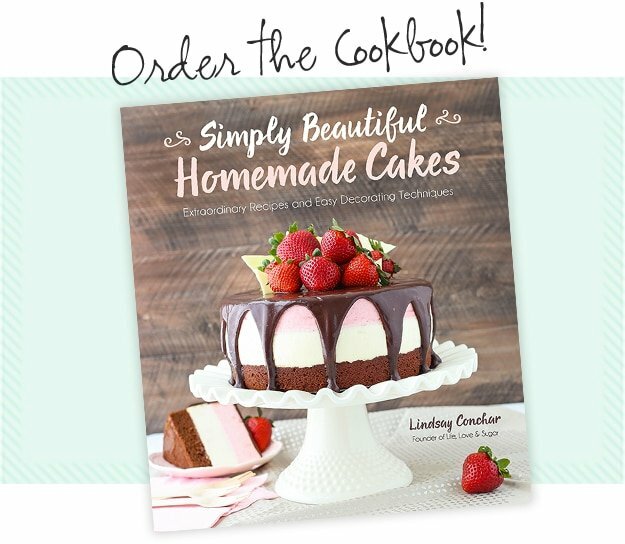 I hope you’ll give it another try – it’s a great tasting cake! Thanks Miranda! Could you use actual Bailey’s instead if the creamer? 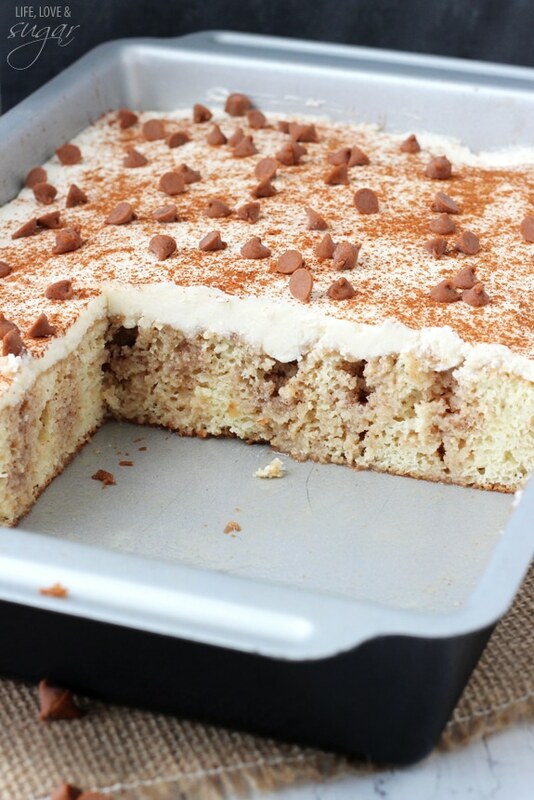 Actual Baileys would definitely change the taste of the cake, but I think it would bake ok. I haven’t tried it in this particular case though, so I can’t say for sure. I made this today and the mixture that you pour over the top is way too thick. It just sits on top like a glaze. I’ve made tres Leches and poke cake many times and the mixture is usually thinner so it soaks right in. Maybe if you mixed in more creamer it would be thinner and work better. Hi Emily. Yes, the mixture is thicker than a traditional poke cake or tres leches cake where you’re just pouring the milk over the cake. It should soak in though as it sits, but there will still be a little of the mixture on top of the cake. You could thin it out with more creamer though if you prefer. Did you mean evaporated milk instead of sweet and condensed milk? No, it uses sweetened condensed milk. 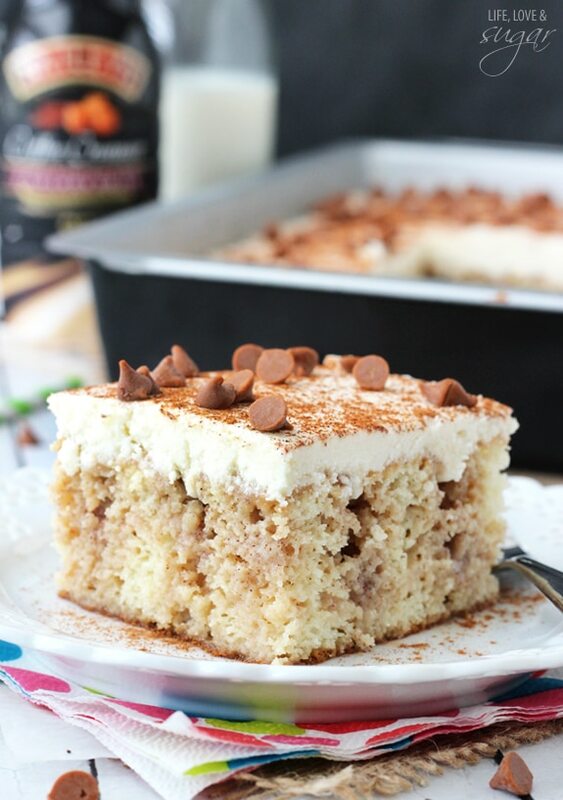 Can you make this with a regular scratch-made white cake recipe, using half milk, half creamer? I don’t use cake mixes because of GMO, but do bake from scratch. It’s hard for me to say for sure since I don’t know the recipe you’re using. I would think it’d be ok, but sometimes the creamer ends up being heavy for the cake. You might need to reduce the liquid a bit, but you’d have to test it. I made the cakes (I used 2 heart shaped pans by Reynolds…because it’s Valentine’s) today…and they turned out beautifully! I followed the recipe (mostly) and they’re perfect. The glaze went on like it should…filling every hole, nook and crannie (sp?). I added a little extra vanilla in the icing…because we like vanilla and my husband is a cinnamon freak…so, a little extra cinnamon added too. Great cake! 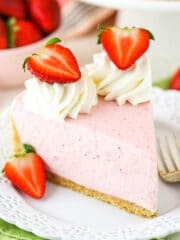 Thanks for posting this wonderful recipe! Made this last week and my girl friends LOVED it. Loved it so much that they passed out in a food coma after having a slice. 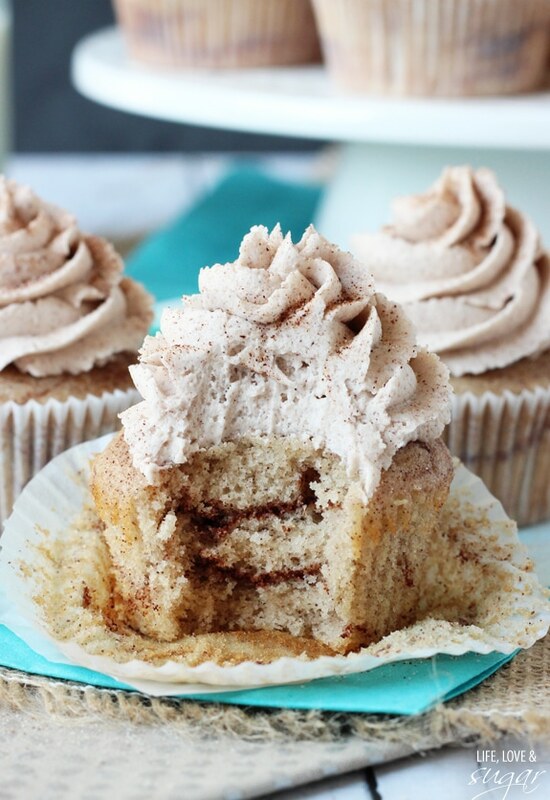 And to be honest I’ve never been a big fan of cinnamon, but this cake has completely changed my mind. Thank you kindly for this delicious recipe – I’ll be sure to make this again. I’m sorry you’re having trouble finding it. I’ve seen other brands of cinnamon flavored creamer that would work well too. If you can’t find a cinnamon flavored creamer, you could just use vanilla creamer for moistness. 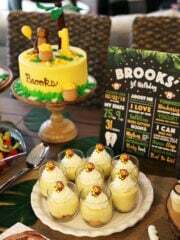 I love trying this cake with my two kids. It must be a delicious cake! My icing started to separate too, not sure why. I wasnt real sure how to fix it so I just added a tub of cool whip to thr mixture and it was really good. Also I couldn’t find the creamer so I used French vanilla and added some cinnamon sugar. The cake was delicious. Do you think this would work with a golden cake mix? By golden do you mean yellow? I think that’d be fine. A couple suggestion options – one is that even though Baileys has discontinued this flavor, I’ve seen other brands with cinnamon creamer and those should work well too. The other option would be to replace it with vanilla and add a little more cinnamon – maybe another 1/2-1 tsp. It will still give that great flavor that you get from the creamer, and also increase the cinnamon to account for the loss there. I hope that helps! This may sound dumb but you do mean liquid whipping cream right ? Yes, cold heavy whipping cream. Hello! We’d love to feature this recipe using 2 photographs, recipe with own written content and credit, link back to your website! If you are sharing my photos, you’d need to provide a link back to my site for the recipe. 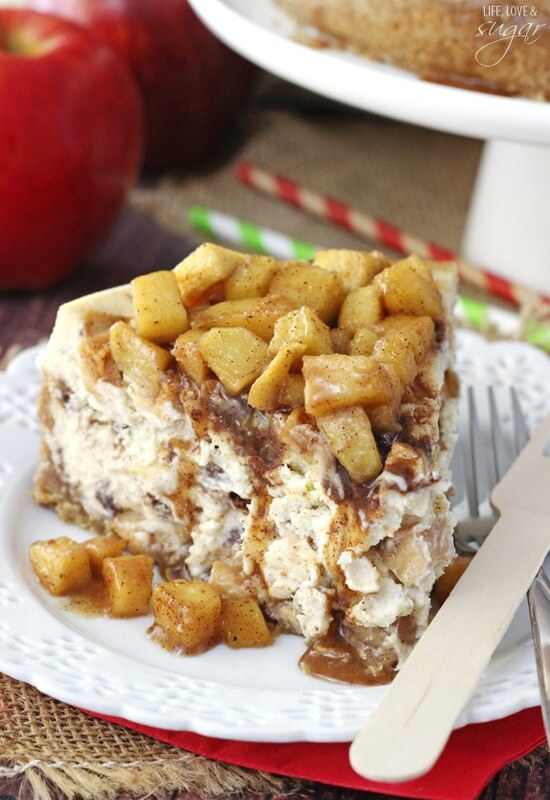 Can I suggest if you try doing a similar recipe with caramel and apple? Caramel creamer and a cinnamon apple icing? So do you essentially serve this cold? Trying to do as much ahead of time as possible…Thanks! Yes, you can serve it cold or let it come to room temperature. 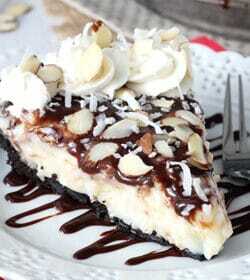 This looks divine!. 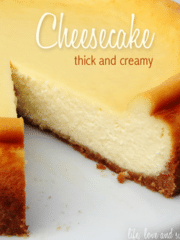 I’m wondering if you have any ideas how to incorporate cream cheese into the recipe? My favorite cinnamon rolls are topped with a cream cheese icing. 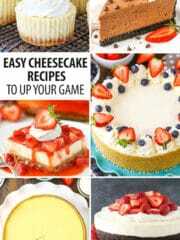 Which would be easy but I love your whipped cream on top and don’t want to replace it. Thanks! You can actually add cream cheese right to whipped cream. Check out the frosting on this cake. You could use that, but maybe cut it in half.